Walking with Jesus: Day 33: Matthew 13:47-58 & Psalm 33 - Why Should Christians Study the Old Testament? Day 33: Matthew 13:47-58 & Psalm 33 - Why Should Christians Study the Old Testament? Why Should Christians Study the Old Testament? Many Christians struggle to understand the Old Testament and to see what value it has for the Christian life. Maybe the Old Testament saints can provide us with moral examples and warnings, but we don't need anything from the Old Testament, do we? While it is true that we could learn everything we need for salvation from the New Testament, that is far from saying that we don't need the Old Testament. Jesus said that a scribe (expert in the Old Testament) who has been trained for the kingdom of heaven (in the Gospel of Jesus Christ) " is like a master of a house, who brings out of his treasure what is new and what is old." Jesus is saying that being well-trained in both the Old Testament Scriptures and in the Gospel has great value. 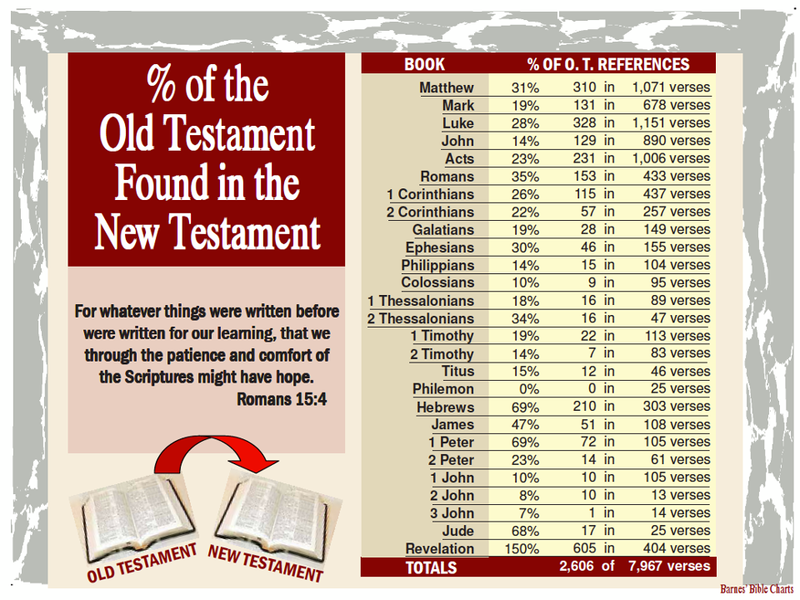 So, what value does the Old Testament hold for believers? 1. It gives us our fuller identity with the people of God. The Old Testament people of God are our people, too. When we read the story if God's dealings with His people in the Old Testament, we're reading about how our God deals with our people. 2. The Psalms and other poetry give us language for prayer and worship. The Old Testament is full of some of the best prayer language in all of the Bible and some of the richest, fullest expressions of worship and devotion to God. We learn about the character of God, about the struggles and joys of a life of faith, of how to express ourselves in prayer and praise and more. 3. It shows us God's sovereign plan of redemption. We can get great encouragement and understanding of the plans and purposes of God by studying the unfolding of redemption in the action and promises of God throughout the Old Testament. 4. It helps us understand Christ as our Prophet, Priest and King. "Christ" means "anointed one" and the pattern for how Christ serves as our anointed Prophet, Priest and King is laid in the Old Testament offices. 5. It is vital for understanding the New Testament. The New rests on the foundation of the Old. 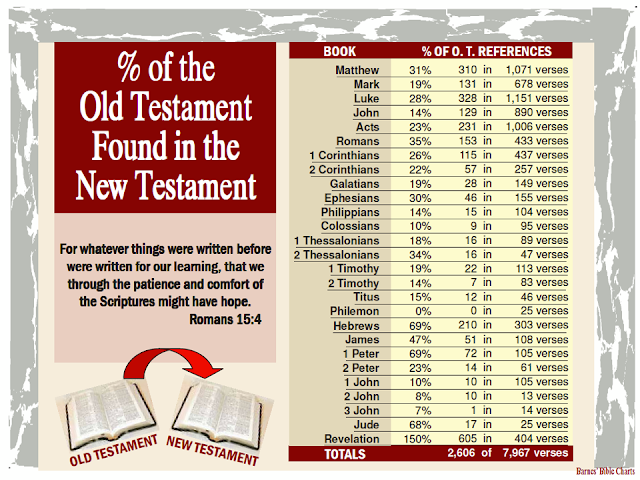 Every book in the New Testament draws on an understanding of the Old for its message. While it is possible to gain a basic level of understanding of New Testament books by studying them on their own, a deep and correct understanding requires the Old Testament. This is especially true for Matthew, John, Romans, Galatians, Hebrews and Revelation. So, to be able to bring out old treasures and new and to have a full and robust understanding of God, His kingdom, His plans, His people and His Scriptures, we need to study both the Old and New Testaments. Heavenly Father, we give thanks to You and we praise You as Your people, those whom You have made righteous in Christ and drawn into Your presence to know You, love You and glorify You. We praise and thank You for Your words are upright and Your works are done in faithfulness. The whole earth is indeed full of Your steadfast love and we can see it reflected in all of Your creation a d providence. Lord, You alone are supreme and You reign over all things. You speak and it comes to be. You command and it stands firm. You have the power to bring all the plans and purposes of the nations to nothing, while establishing Your own plans and purposes for all generations. Your church is Your people, the nation You have created, the nation over which King Jesus reigns and the people You have chosen for Your heritage forever. Let Your people identify first and foremost with You as Your people and not with the passing kingdoms and nations of this world. Father, let Your eye of favor and kindness remain on Your people to bless and protect, to guide and to grow, to teach and to redeem. Deliver us from death, which presents itself to us in many forms in this fallen world. Our souls wait for You, O Lord. You are our help and our shield. Our hearts rejoice in You because we trust in You and will never be put to shame in You. In Jesus' mighty and precious name, Amen!